Gort does not speak but he can pulverise anything with his awesome laser beam that shoots from his visor. He is made from one sheet of metal and stands over 8 feet tall. 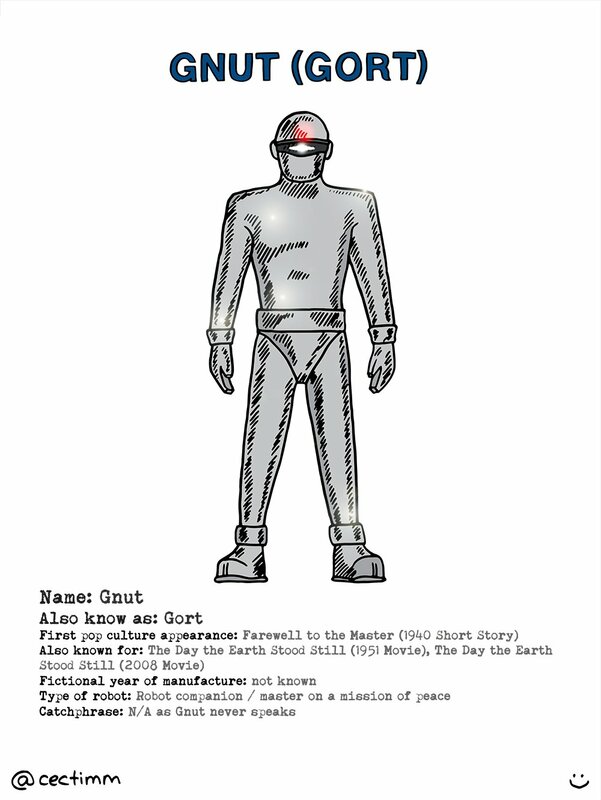 Even in black and white Gort was an intimidating character. He is part of an interstellar police force trying to preserve peace by destroying anything he perceives as a threat. Klaatu comes to earth on a mission of peace but is confronted by humanities tendency to panic when facing the unknown. While Gort never speaks, his mission of destruction destruction is halted the words “Klaatu barada nikto“. This phrase was never translated and it’s true meaning remains a mystery. 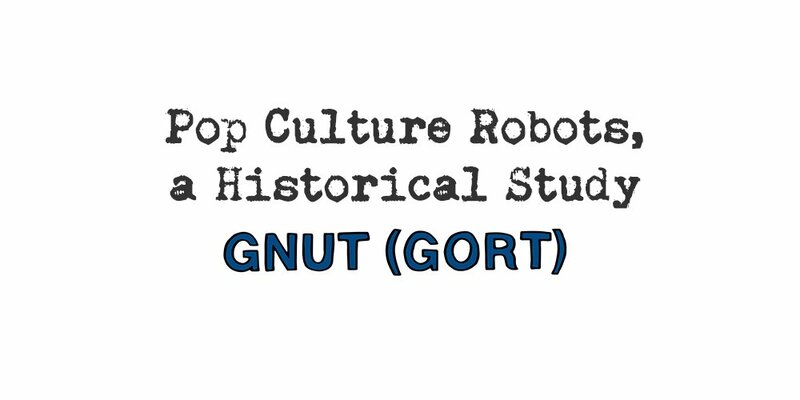 Gort (originally Gnut) is a pioneer in pop culture robotics and is as iconic today as he was in the cold war era. While it’s not official I can see that Gort may have influenced the design of another pop culture robot classic the Cylon… what do you think? I will be publishing 15 robot profiles over the coming weeks. Feel free to share on social media (please link back to my site).